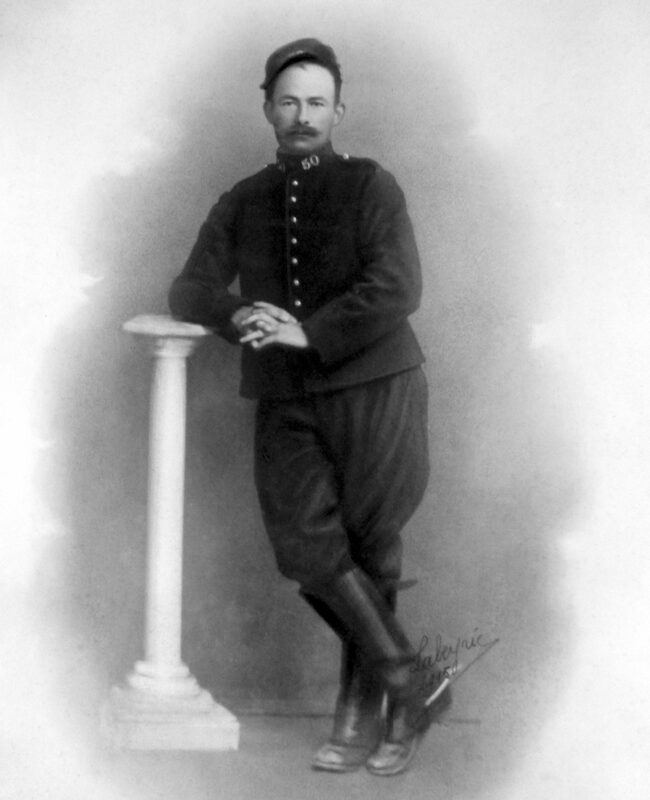 When visiting my mother for the Xmas break, she showed me this picture of her grand-father, Médéric, in his cavalry uniform, taken before the First World War, in 1905. During the war, as an older man, he did not come close to the front lines, but died from a disease caught from the horses he was taking care of. 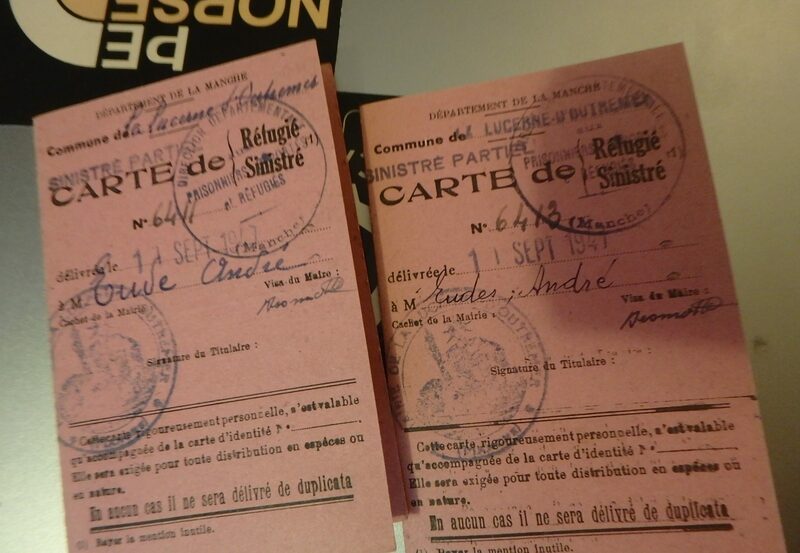 Two other documents I had not seen before were these refugee cards that my grand-parents got after their house in Saint-Lô got destroyed on June 7, 1944. And this receipt for the tinned rabbit meat packages my grand-mother was sending to a brother-in-law who was POW in Gustrow, Germany, receipt that she kept despite the hardships she faced in the years following the D Day landing. Another year attending La Rochambelle, the massive women-only race or walk against breast cancer in Caen, Normandy! 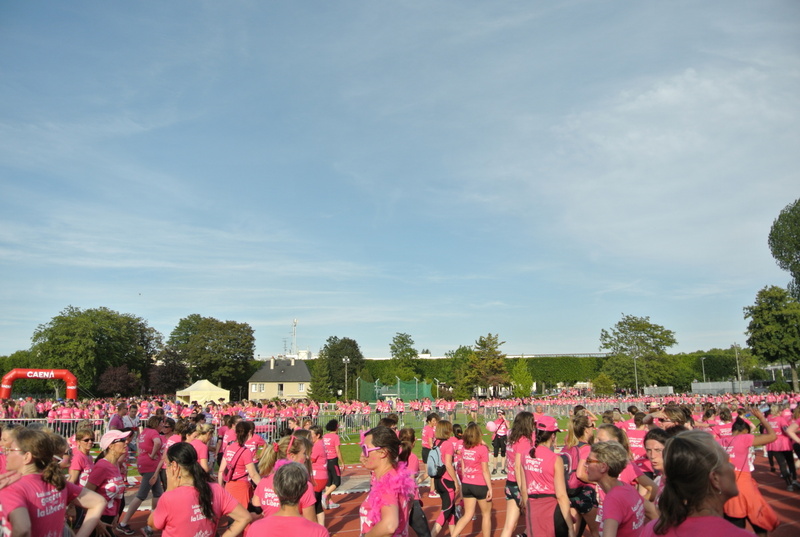 With the fantastic vision of 20,000 runners in the same pink tee-shirt swarming down-town Caen and the arrival stadium. 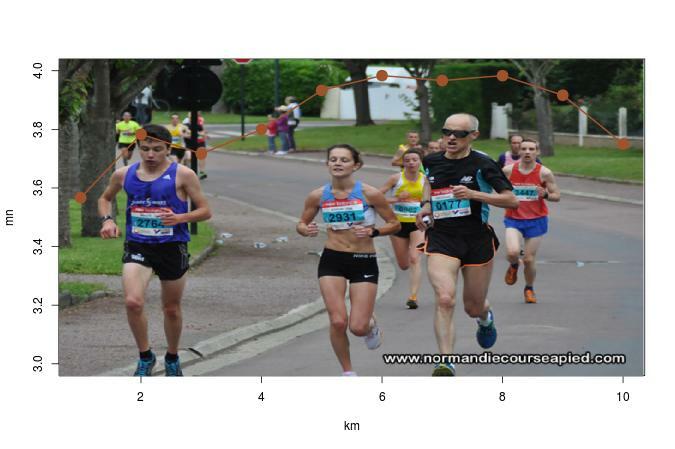 Which made it quite hard to spot my three relatives in the race! 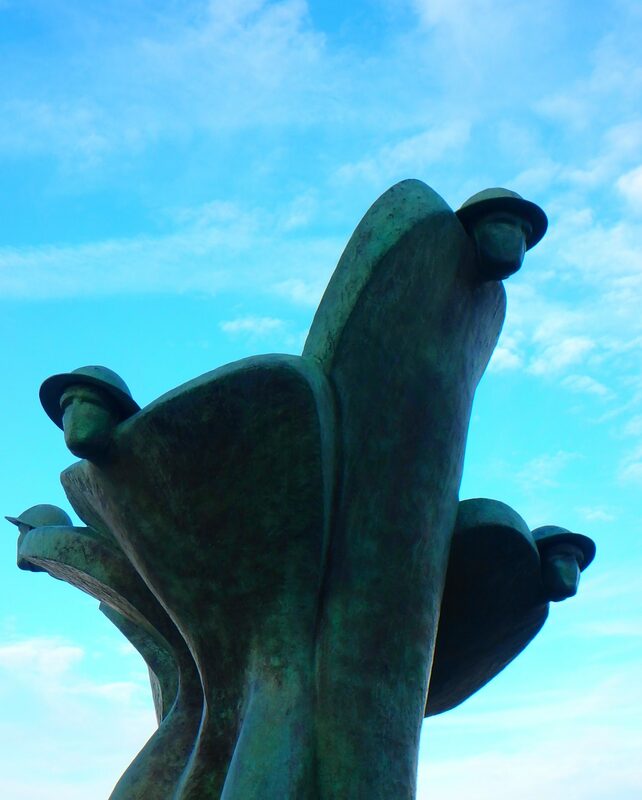 I also ran my fourth iteration of the 10k the next day, from the British War Cemetery of Cambes-en-Plaine to the Memorial for Peace in Caen. The conditions were not as optimal as last year, especially in terms of wind, and I lost one minute on my total time, as well as one position, the third V2 remaining tantalisingly a dozen meters in front of me till the end of the race. A mix of too light trainings, travel fatigue and psychological conviction I was going to end up fourth! Here are my split times, with a very fast start that showed up in the second half near 4mn/km, when the third V2 passed me. 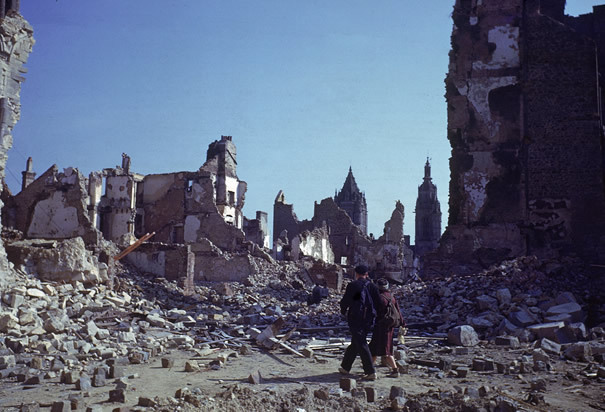 This year was a special year for the races of Les Courants de la Liberté, in Caen, as part of the celebrations of the 70th anniversary of the Allied landing on the nearby D-Day beaches. The number of women running the Rochambelle race/walk against breast cancer was raised this year to 20,000 participants, an impressive pink wave riding the streets of Caen, incl. my wife, mother and mother-in-law! And even one of the 1944 Rochambelle nurses attending the start and finish of the race!